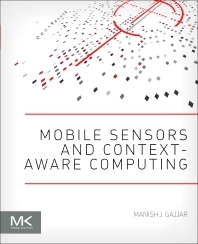 Mobile Sensors and Context-Aware Computing is a useful guide that explains how hardware, software, sensors, and operating systems converge to create a new generation of context-aware mobile applications. This cohesive guide to the mobile computing landscape demonstrates innovative mobile and sensor solutions for platforms that deliver enhanced, personalized user experiences, with examples including the fast-growing domains of mobile health and vehicular networking. Users will learn how the convergence of mobile and sensors facilitates cyber-physical systems and the Internet of Things, and how applications which directly interact with the physical world are becoming more and more compatible. The authors cover both the platform components and key issues of security, privacy, power management, and wireless interaction with other systems. Manish J. Gajjar is a technical program manager and early prototyping lead for sensor solutions at Intel Corporation He has 20 years of experience at Intel in chipsets and graphics products, including roles as validation architect, design/validation and emulation lead to post silicon validation program manager. Manish has also served on the Industry advisory board of California State University and as a faculty member there.